One of the best headphone values, the 610-41 is respected and known for its comfort, quality, versatility and affordability. 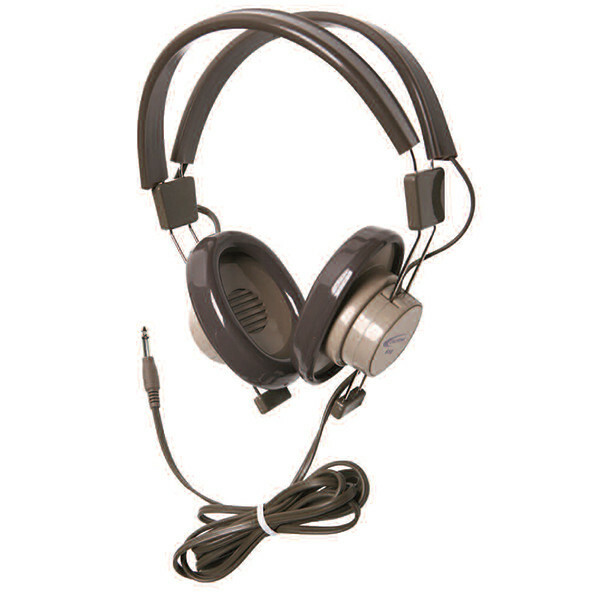 The durability of this monaural 610 headphone makes it a favorite for heavy day-in and day-out use for 1:1 and small group language learning activities. The steel-reinforced straps have a memory feature that no matter how they’re bent or twisted, they remember their original shape and spring back. The replaceable, easy-to-clean vinyl ear cushions are the most durable on the market and are also hypo-allergenic, no latex. Weight: 8 ounces, shipping weight 1 lb.